In an attempt to boost mobile advertising revenue, Facebook is trialling ads for apps in the social network's mobile news feed. In its latest attempt to boost advertising revenue as uses move to mobile devices, Facebook is trialling ads for apps in the social network's mobile news feed. The ads will appear in a limited number of beta users' feeds during the trial of the "new way for mobile app developers to grow their business" Facebook said in a blog post. Developers signing up to the scheme will be charged every time users click on the mobile ads to download apps from the Apple App Store and Google Play. The move comes less than three months after Facebook floated on the stock exchange and noted that it had struggled to monetise its mobile service. The company said future growth would depend on its ability to harness mobile advertising as users moved away from the desktop version of the site. At the end of June, Facebook said it had 543 million or around 62% of active members using the site via a mobile phone or tablet. In July, Facebook shares fell 11% in after-hours trading to a record low of $23.94 after announcing its first financial results since listing on the New York stock exchange in May. Some analysts attributed the fall to the fact that results failed to quell investor concerns that Facebook will struggle to make a profit in a mobile world. Announcing the mobile app ad trial, Facebook invited software developers to take part, claiming that the social network is increasingly becoming a way for iOS and Android developers to grow their apps. "Mobile ads are an additional way to drive people to apps," Facebook engineer Vijaye Raji wrote in the developer blog post. 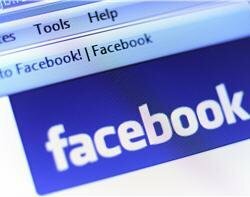 Developers will be able to target advertising at Facebook members based on the apps they have downloaded for their Facebook page, according to the Telegraph. Earlier this year, Facebook introduced Sponsored Stories to its mobile app, which posts created by an advertiser that appear if a "friend" or page the user is connected to shares the material. Facebook founder Mark Zuckerberg said the company was making about $500,000 worth of sales through mobile Sponsored Stories every day at the end of June.